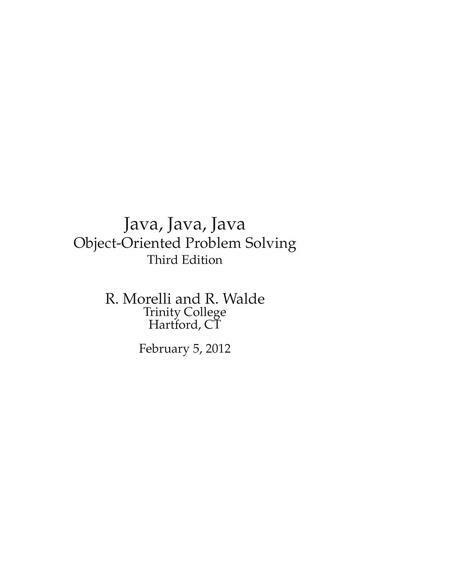 Morelli and Walde wrote:We have designed this third edition of Java, Java, Java to be suitable for a typical Introduction to Computer Science (CS1) course or for a slightly more advanced Java as a Second Language course. This edition retains the “objects first” approach to programming and problem solving that was characteristic of the first two editions. Throughout the text we emphasize careful coverage of Java language features, introductory programming concepts, and object-oriented design principles. • Programming, Debugging, and Design Tips. 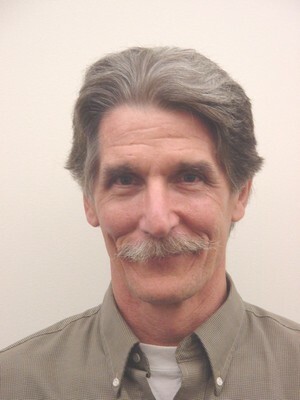 Professor of Computer Science, Department of Computer Science, Ph.D. University of Hawaii. Research interests cover Artificial Intelligence/Cognitive Science, Historical Cryptography, and Computer science education. Emeritus Professor at Trinity College. Taught a wide range of college courses in Mathematics and Computer Science.